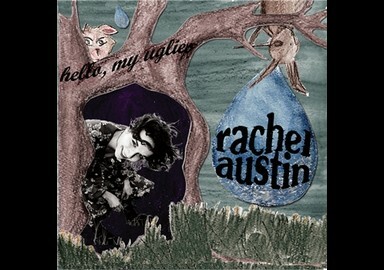 Rachel released her first full length album “Hello my Uglies” in the summer. Produced by Declan Legge of Big Space Studios in Newry. The album is a polished and confident production of the type of music we love... There is something thoughtful and intelligent about this album. 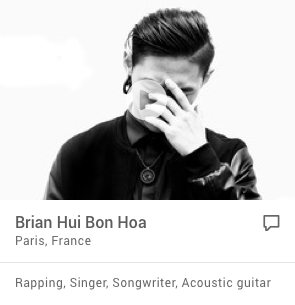 It is hard to describe, the songs grab your attention and absorbs you in the different layers. This isn’t background music it is too beautiful, this is art. If you like Shawn Colvin, Bic Runga or Missy Higgins then you will do doubt love Rachel Austin. Story based song writing at its very best. With a debut album of this standard it is easy to say with confidence that Rachel Austin is destined for great things. There are few times when you really get excited about a new release, wanting to explore every song in detail but ‘Hello my Uglies’ is just such an album. This is music gold! Rachel Austin is a singer-songwriter, vocal tutor and native of the Shenandoah Valley, Virginia, USA. Her recent performance at the Pavilion in Belfast brought a flavour of her native country to a grey Belfast night, 13th October 2006. 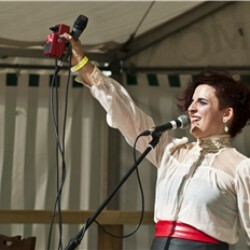 Whether performing her own accomplished, folk-inspired songs such as ‘Sweet Justice’ and ‘Life’ (which can be heard on Rachel’s current EP) or performing numbers from Les Miserables as never heard before, Rachel’s strong voice and impressive vocal range made for an arresting performance. Playing with Rachel was Belfast born virtuoso guitarist, Steven McKnight whose playing added depth to the performance whilst allowing Rachel’s vocals to shine. Hopefully it won’t be too long until Rachel’s next gig. She deserves to gain public attention. According to her Myspace profile, Rachel Austin sounds like 'Joni Mitchell impersonating Jeff Buckley' which isn't a bad description, or ambition, for any female singer-songwriter. This almost constant internal displacement in surroundings led Rachel to start travelling in a quest to seek out a place she could call home. Eventually she found what she was looking for right here in Belfast. Rachel is one of those artists who has creativity in her blood and it won’t surprise local music fans to learn that she’s been writing songs and performing in some shape or form since she was little. The release of ‘Hello My Uglies’ marks a huge moment for the singer both personally and professionally and without sounding like TV psychic Sally Morgan, we predict great things for her future. “I would attribute that first inspiration to write songs to a few things,” offers Rachel. :I mean, if we’re talking first songs, I used to swan around on our pool deck making up tunes that sounded more like Rodgers and Hammerstein than my current repertoire actually. But in terms of what I’m doing now when I was growing up I started hanging around with a particularly musical group of people and we would sing in harmony wherever we were, so it seemed only natural for me to express my own ideas and thoughts through song-writing. Like a lot of modern acts, Rachel has chosen to ignore the world of industry suits who know nothing about music, (but unfortunately quite a lot about ripping off bands), in favour of releasing her own music and distributing it at gigs and online. Well, at least for now anyway. This summer Rachel has made tentative plans for a full-blown UK tour in a bid to drum up a bit more business for her album. After that, the world is her oyster, but wherever she lays her head, she still considers Belfast her home. Rachel Austin is singing about 'Dear Love' as opposed to 'Deer Love'. She wants us to appreciate the difference, because you wouldn't want any confusion, kind listeners. We all smirk at the possibilities of the latter, but pretty soon the crowd in McHugh's basement, Belfast is enjoying a song about personal rapture. Some of her music is proudly eccentric. She doesn't really sound like Regina Spektor, but they both borrow from classical music and folk traditions to create bold tunes and wiggy statements. A few times, Rachel almost steers us into a power ballad, but revs off to somewhere more exalted. 'Did You Notice' is a fierce dismissal to an unwanted male. She coos like Billie Holiday, but sings about violence and disgust and the sanctity of marriage. Her musician pals are playing the violin, the cello, the mandolin and more, clearly enjoying the mission. On the wall nearby, there's a slide show of pictures. Graham Smith the photographer has been following the artist for a year or more, and his shots reveal Austin in many stages of gaiety, creative focus and interesting attire. Tonight, she's wearing an ante-bellum ballgown that might have been cast aside by Scarlet O'Hara around 1861. Rachel Austin’s awaited 5-track release, Learning, but never knowing, will be released on March 8. The recording comes in the form of a limited edition book produced in collaboration with printmaker Amira Hegazy (Detroit, MI/Egypt) and photographer Sholeh Asgary (Oakland, CA/Iran). A full website experience will launch along with the book also on March 8, featuring films by Will McConnell (Belfast, N.I.) of Bandwidth and Nova Scott-James (Harlem, N.Y.) of Mothership Alchemy. The website is www.rachelaustinrachelaustin.com. Austin stretches the borders of experimental folk and grungy pop, reflecting the influences of her childhood home in the mountains of Virginia. With a voice that soars “like an earth angel” (Hot Press Magazine) and song writing that is “at once haunted and uplifting, yearning yet triumphant” (Daily Mirror), Austin adds junk tremolo guitar to create a sound compared to that of Regina Spektor and Jeff Buckley. The diverse list of artists with whom she has shared the stage shows the strength of her work: ​Kronos Quartet, Fred Frith, Zeena Parkins, Foy Vance, Duke Special, Florence + the Machine, and the Irish National Symphony Orchestra. Rachel moved to Belfast from the US and began playing around Ireland, the UK, and Europe 5 years ago. She has opened for and played with a roster of well-known international acts in venues from Yerba Buena Center for the Arts (San Francisco) to the National Concert Hall in Dublin: Kronos Quartet, Fred Frith, Florence + the Machine, Duke Special, Rodrigo y Gabriela, Devon Sproule, and Hazel O’Connor, amongst others. Her debut album, hello, my uglies (2008) set out her stall with a beautiful collection of songs that drew from a variety of sources including indie and folk, right through to grungy jazz. The Age Trilogy sees Rachel crafting three separate releases that showcase a different side of her muse. The Age of Wisdom (2010) featured stark yet beautiful arrangements of voice and guitar, allowing her songs to connect in a direct manner only hinted at before. The Age of Love (2011) was a more playful affair, brass, drums and bass all brushing up alongside each other to create a warm tapestry exploring various facets of love and honesty. These intricately presented releases were the work of a songwriter striking upon a particularly fruitful vein of inspiration and exploring it to the hilt. Calling to mind comparisons with the restless creative spirit of Nick Cave, Rachel’s songwriting rarely comes at the listener from the obvious perspective. Rachel was the Artist in Residence for the prestigious Cathedral Quarter Arts Festival (Belfast), at the Kunstuniverstat Graz, UABC (Mexico), and Christ Church Cathedral (Dublin). 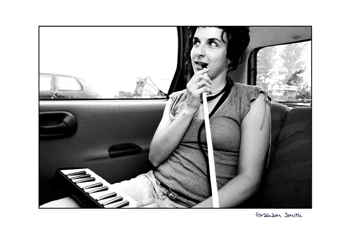 She has played festivals across Ireland, France, and the US. Sets usually last 45 mins - 1 hr 15 mins, and is mostly compromised of original tunes, with few covers thrown into the mix. she told me of the hook stuck in her heart. till it was over & done. but it just takes her back to the streaming. and those shoes that don't fit, that bell that won't ring. Yeah he took them when he took everything. we'll just get away from the streaming.